Pups Are Fully vacainated, an can go out for walks now! an also been vet checked again an are fit an healthy pups, they are Ready to go to there new homes. Are beautifully family pet girl has given birth to her first litter of 7 Kc reg pups, she SELF-WHELPED her puppies without any problems, an it only took her 4 an half hrs from start to finish, to give birth to all her babies, she has been an excellent mum to her babies, this mating was a fawn to fawn mating, so all pups are fawn, mum is very healthy never suffered from any health issues in her life, never had any breathing issues, she walks miles everyday with my other dog, mum to the pups can be seen, she is full of life always jumping about an messing about, she is never still even after going for her walk! 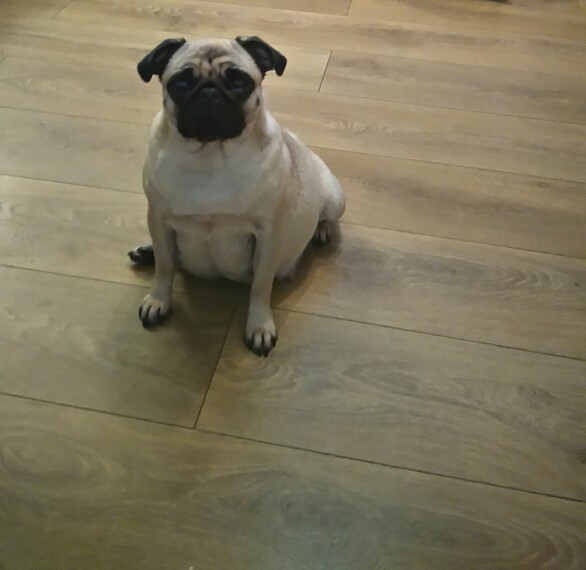 you can see for yourself how fit an healthy she is, Dad was stud dog i used he is also a very healthy pug, with no health issues, Puppies have been born an reared in my family home, around small children ages nearly 3 an 6yrs old who have been very hands on in looking after the pups, these pups have had 24/7 care an time spent with them, they are being fed on boiled chicken fillets an mince beef meat, an do have dryfood mixed in, they are cheeky very out going pups, that love everybody an everything, an also love to cuddle up on sofa for cuddles an a sleep! Puppies have been vet checked had there First an second vaccination an been microchipped, they have been wormed every 2 wks from age of 2 wks old, They are kc reg, Puppies are also fully vacainated, an can go out for Walks, READY TO GO NOW, Only Loving Indoor Homes for these babies.2 girls an 1 boy Prices 850/1000 They will leave with Kc papers Microchip paperwork 5 wks insurance Food pack Scent blanket.